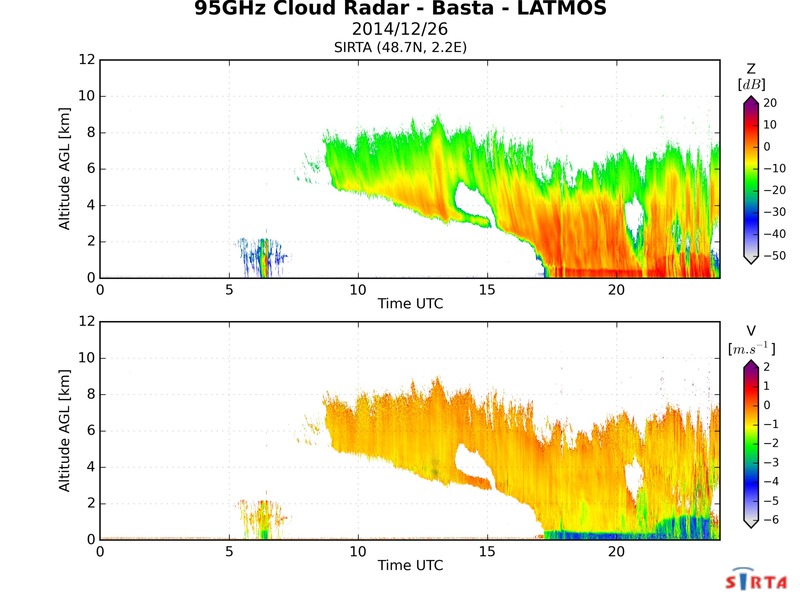 Doppler cloud radars are amazing tools to characterize cloud and fog properties and to improve their representation in models. 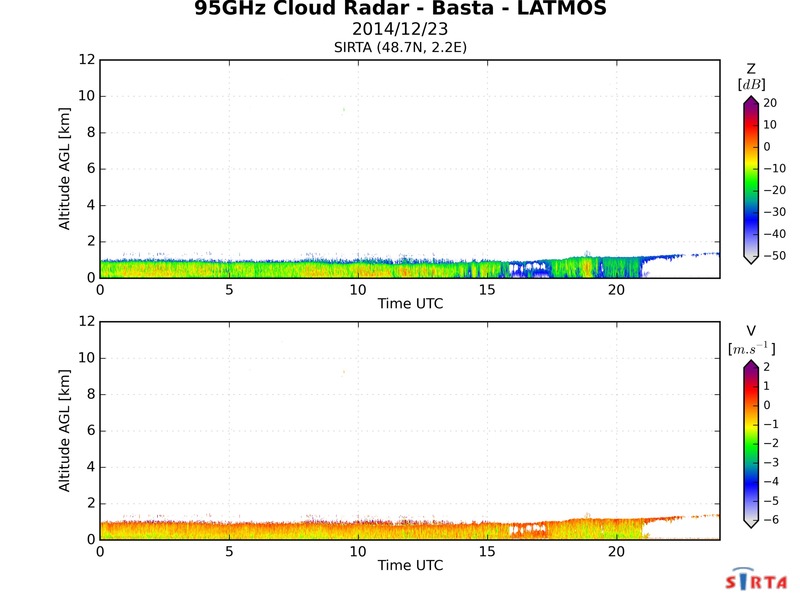 However commercially-available cloud radars (35 and 95 GHz) are still very expensive, which hinders their widespread deployment. 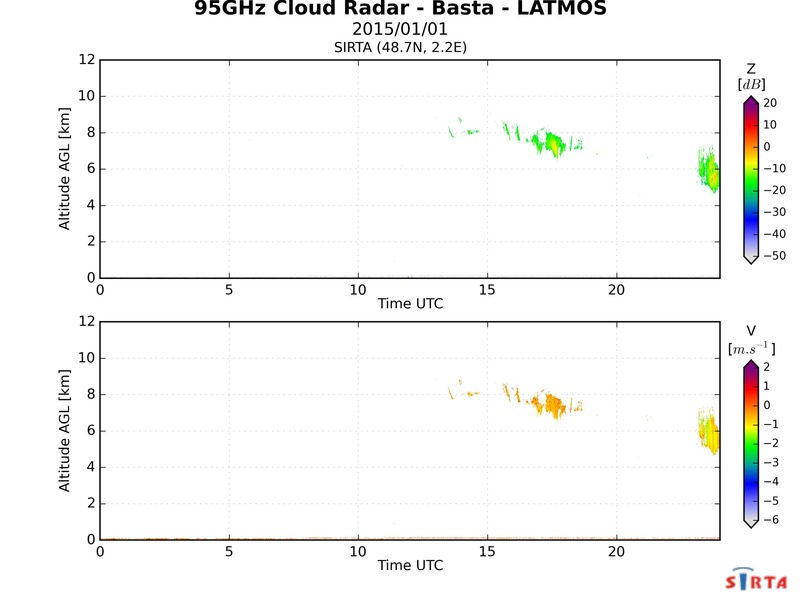 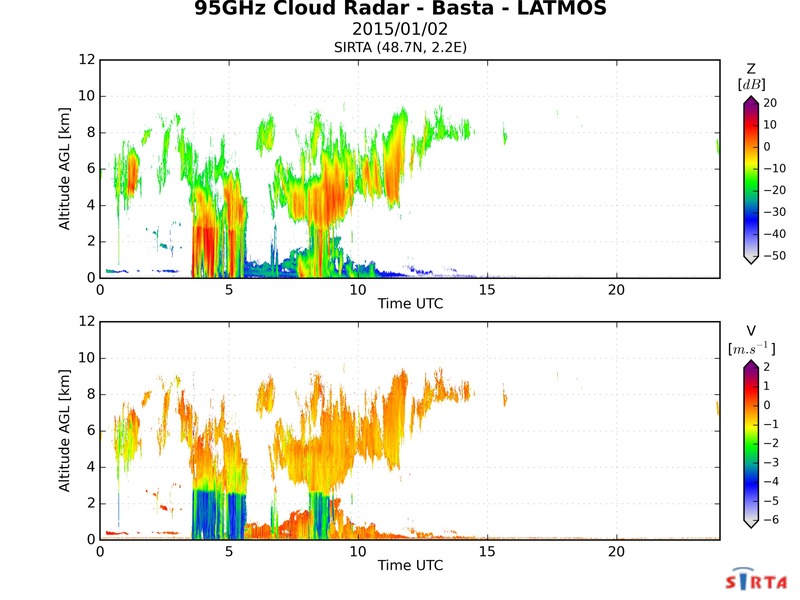 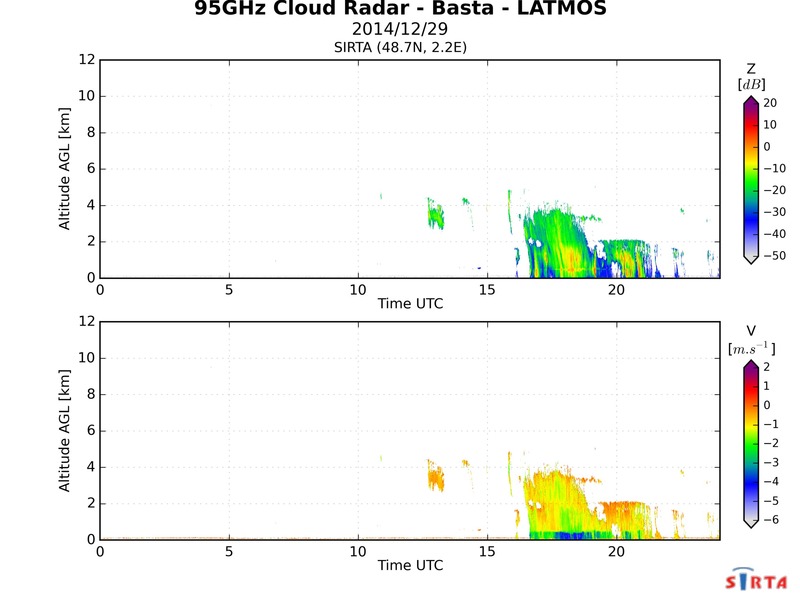 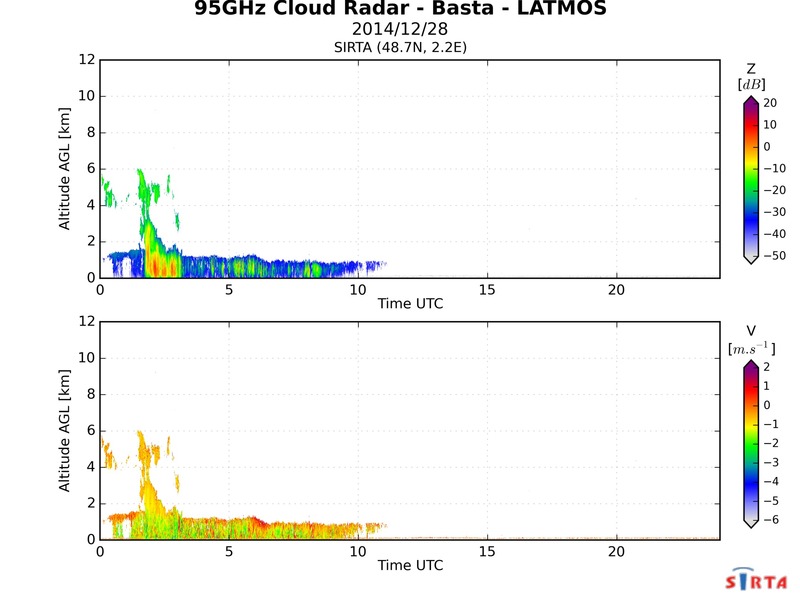 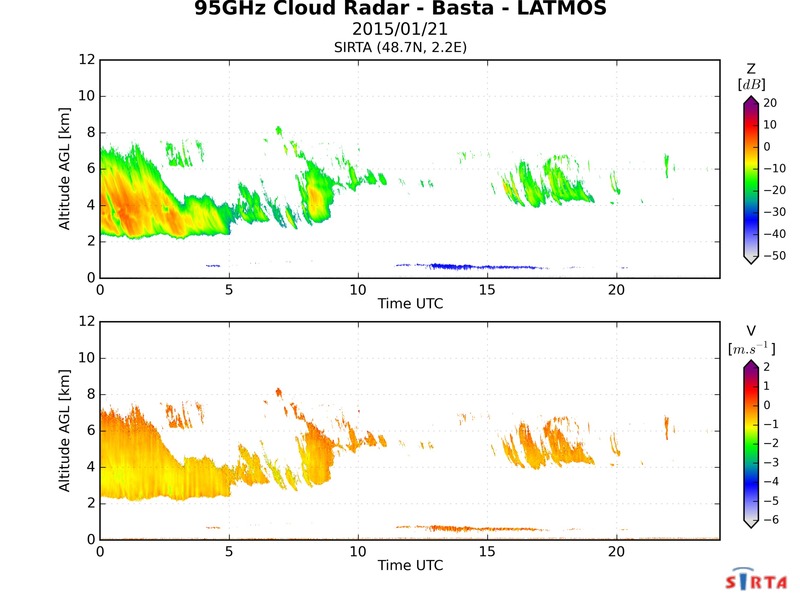 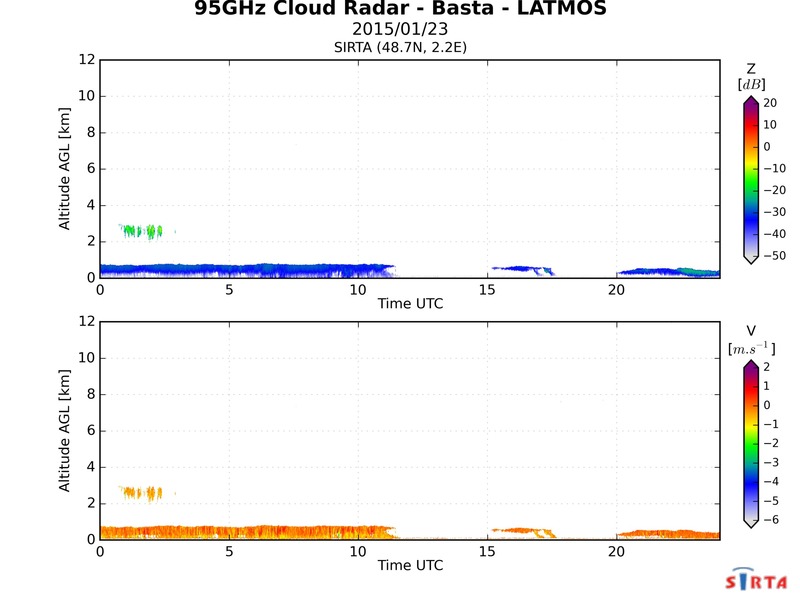 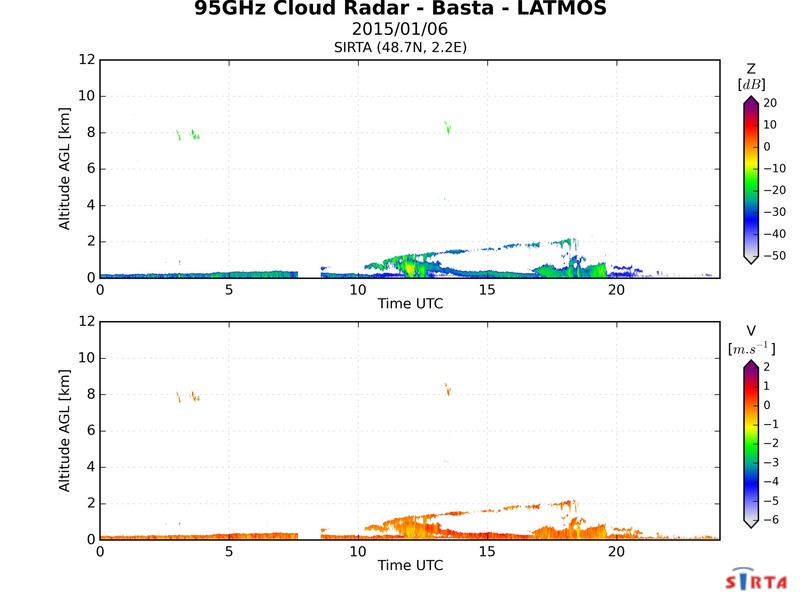 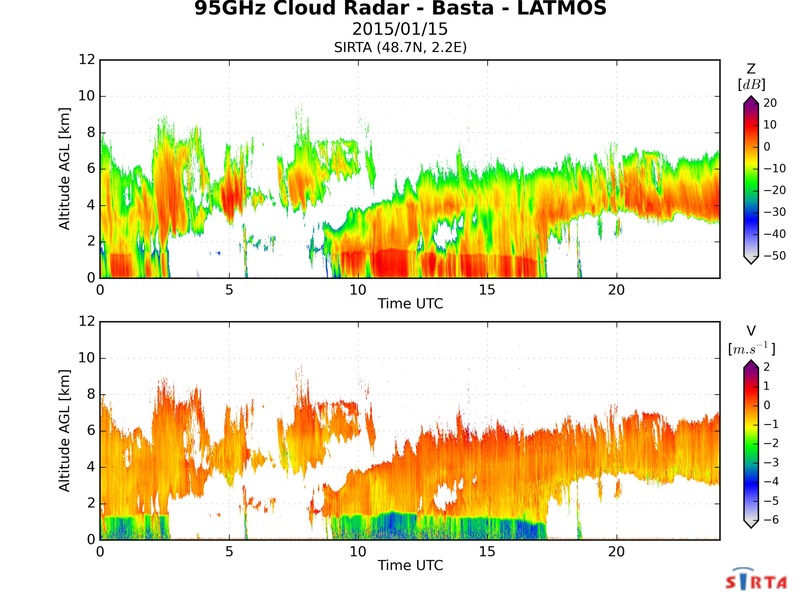 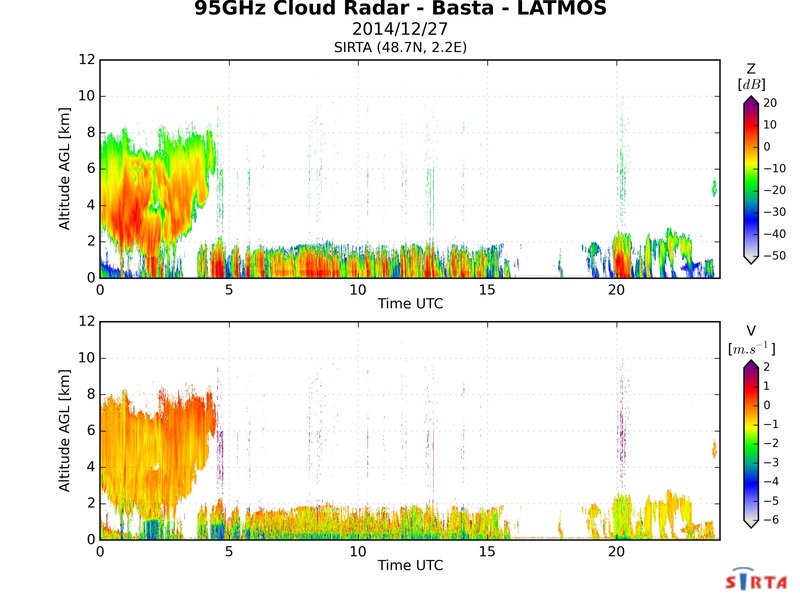 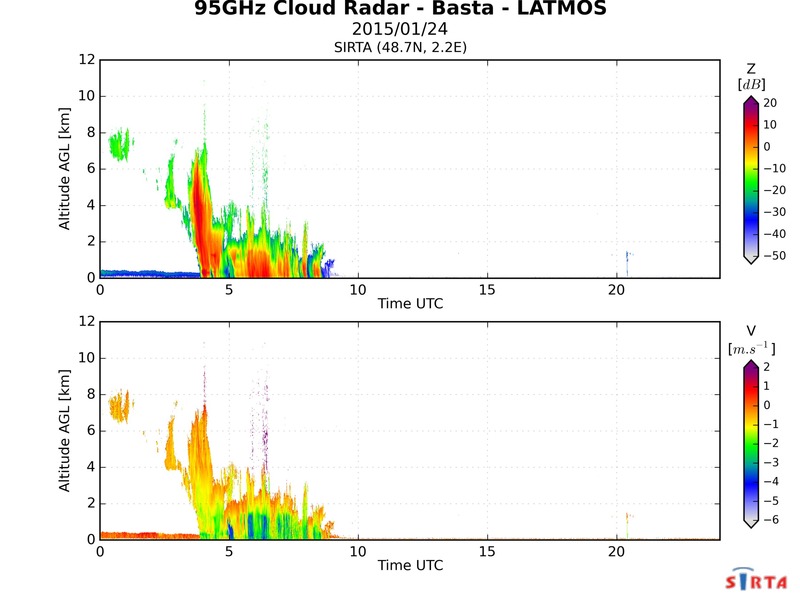 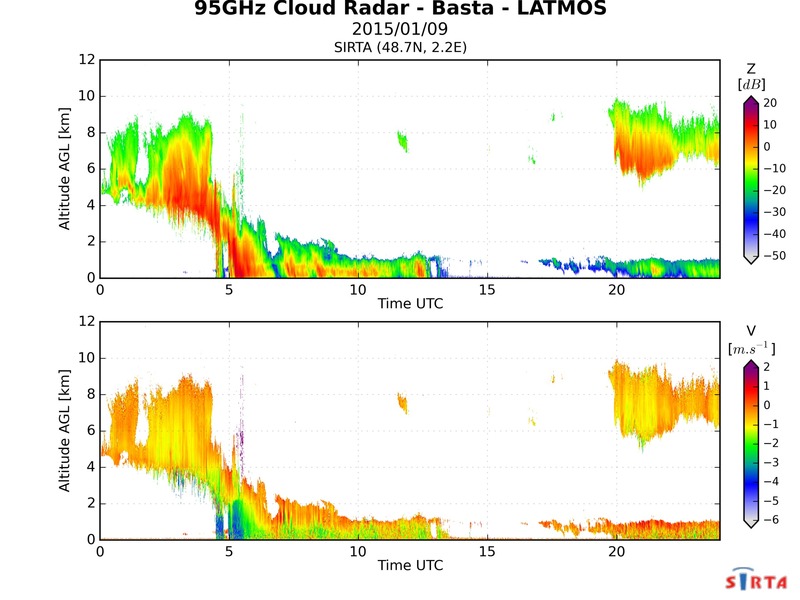 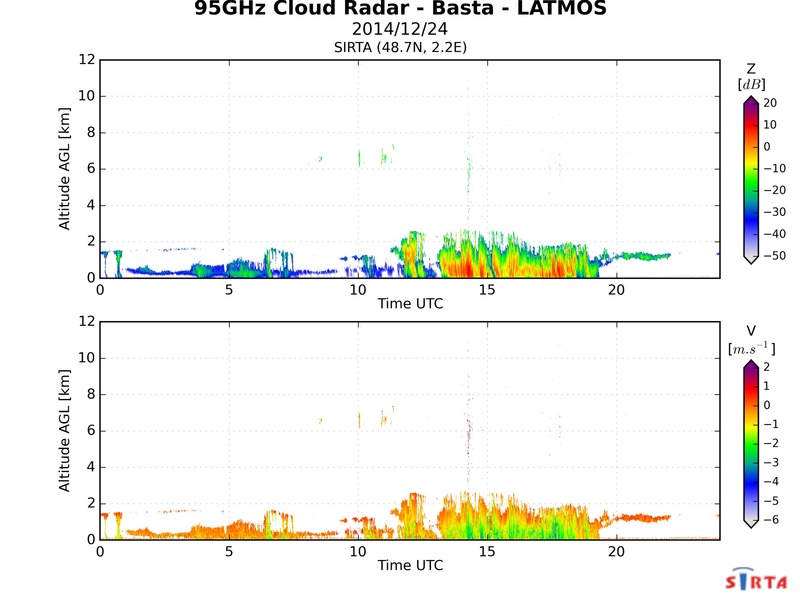 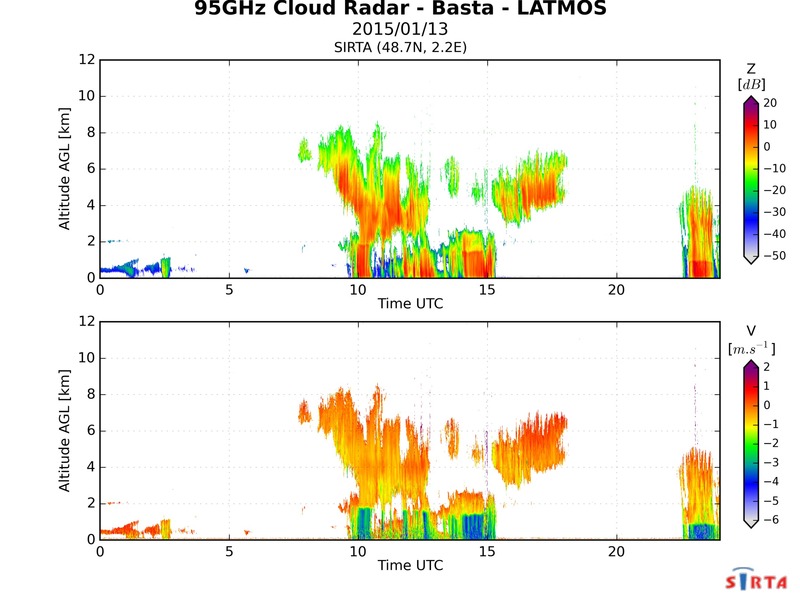 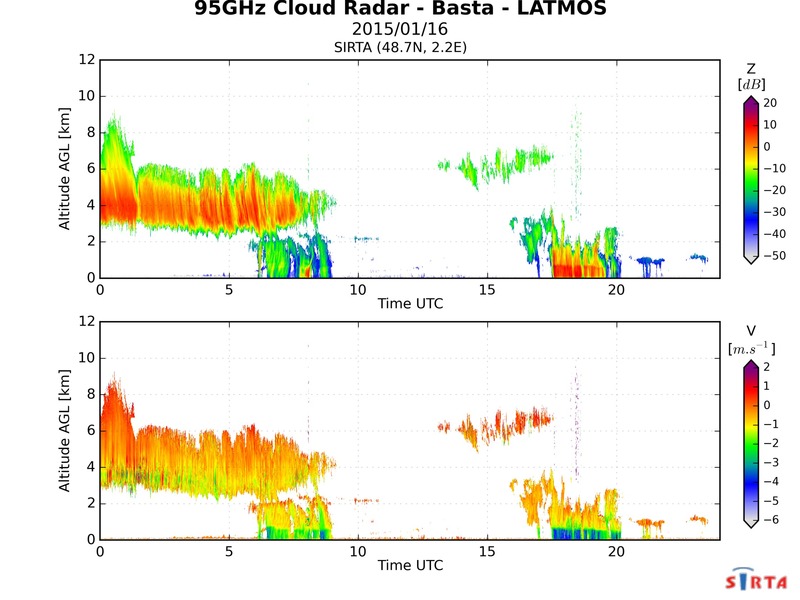 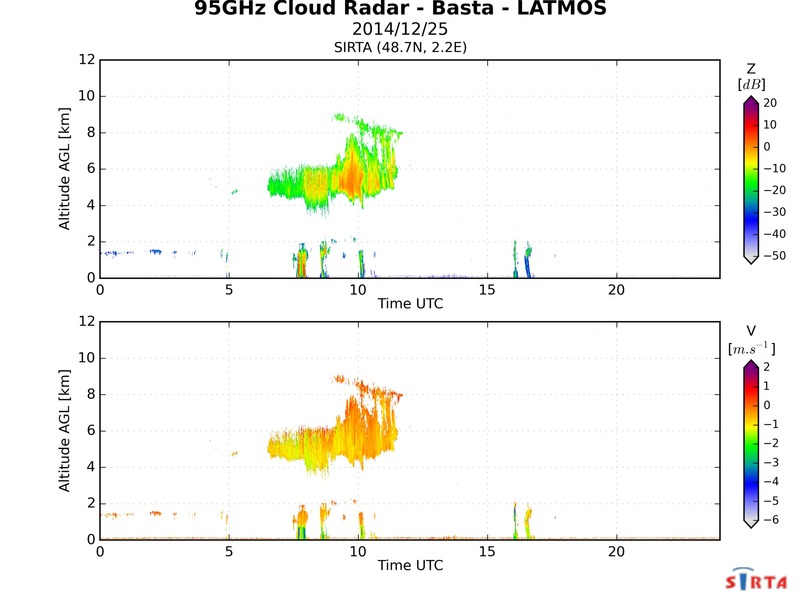 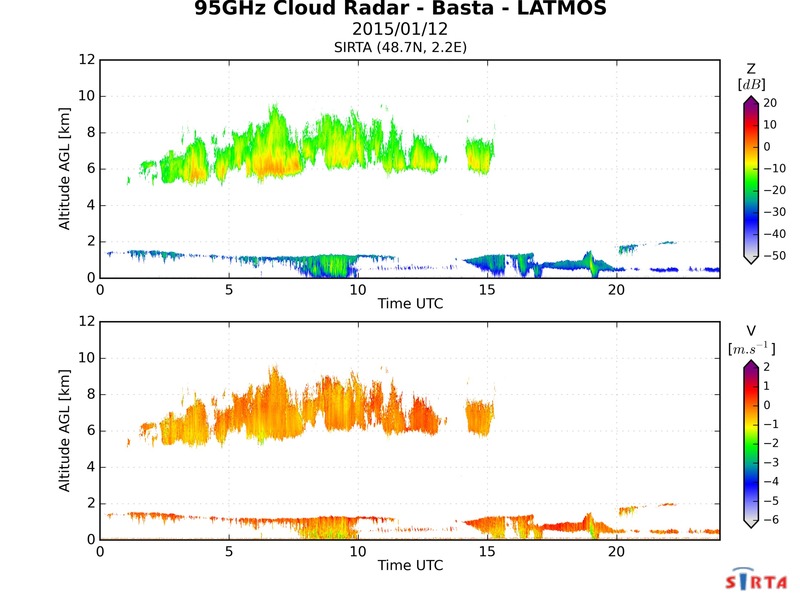 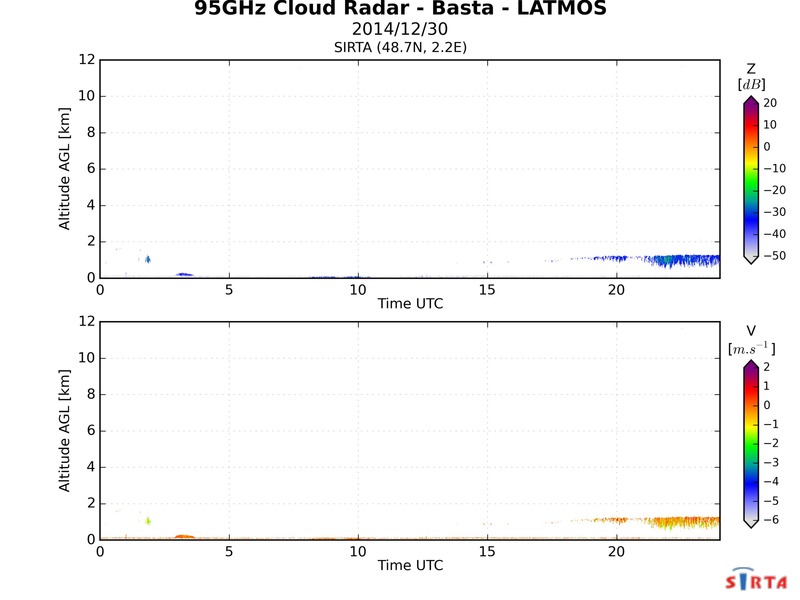 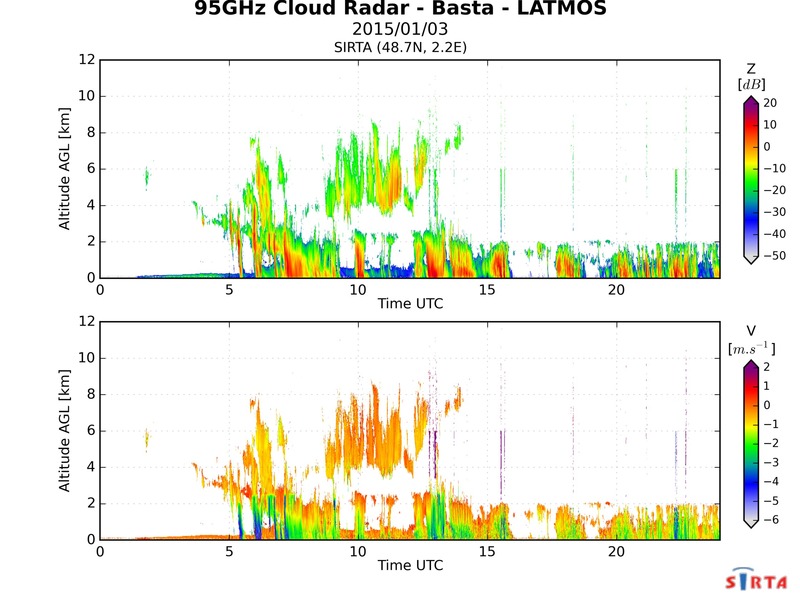 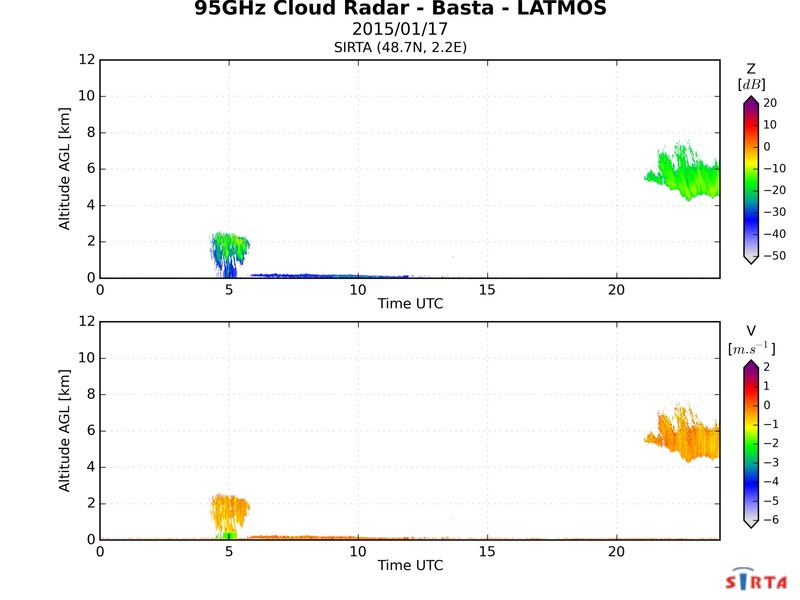 LATMOS, a research laboratory affiliated to the French national research centre (CNRS) and the University of Versailles Saint-Quentin (UVSQ), developed of a low-cost semi-operational 95 GHz Doppler cloud radar called BASTA for Bistatic rAdar SysTem for Atmospheric studies. 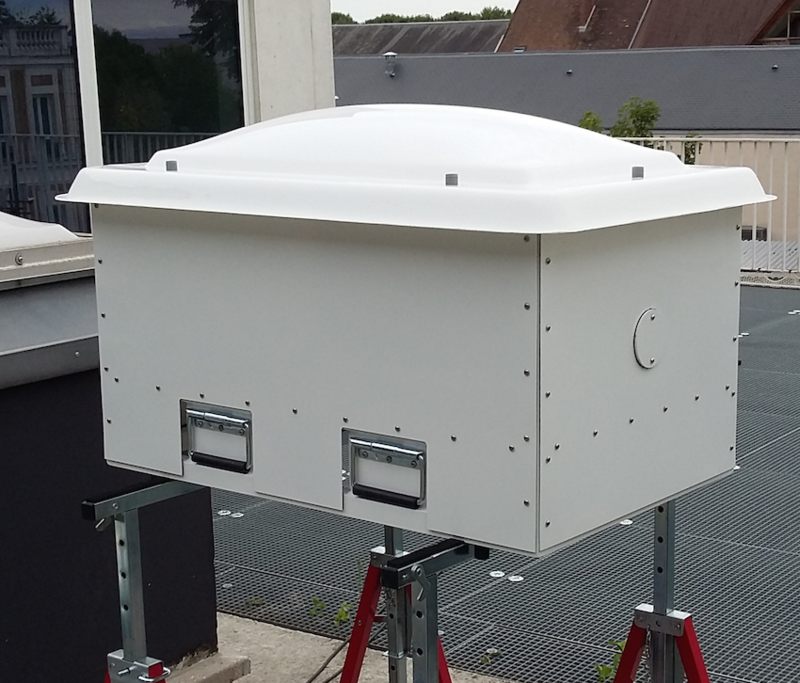 In order to drastically reduce the cost of the instrument a different approach is used compared to traditional pulsed radars: instead of transmitting a large amount of energy for a very short time period (as a pulse), a lower amount of energy is transmitted continuously. The radar makes the most of the FMCW (Frequency Modulated Continuous Wave) technology. 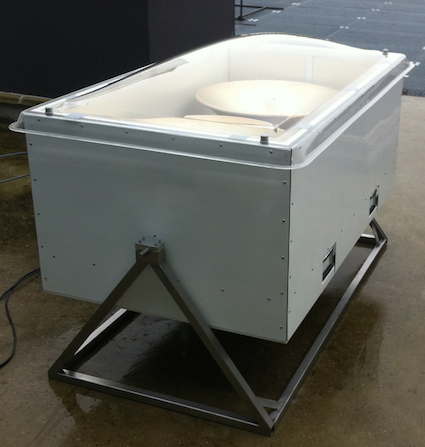 The power reduction is directly associated to a cost reduction. 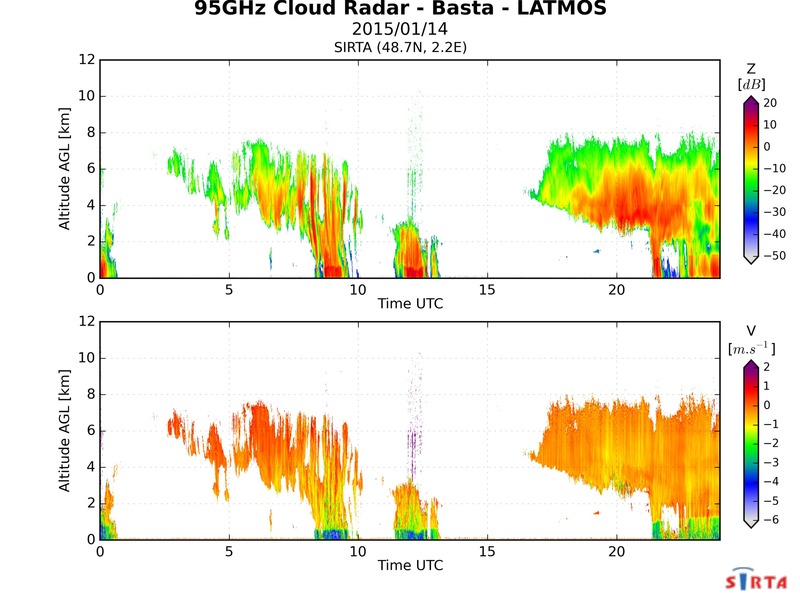 We use specific signal processing technique in a way that the radar can challenge expensive radars and provide high-quality measurements of cloud and fog. 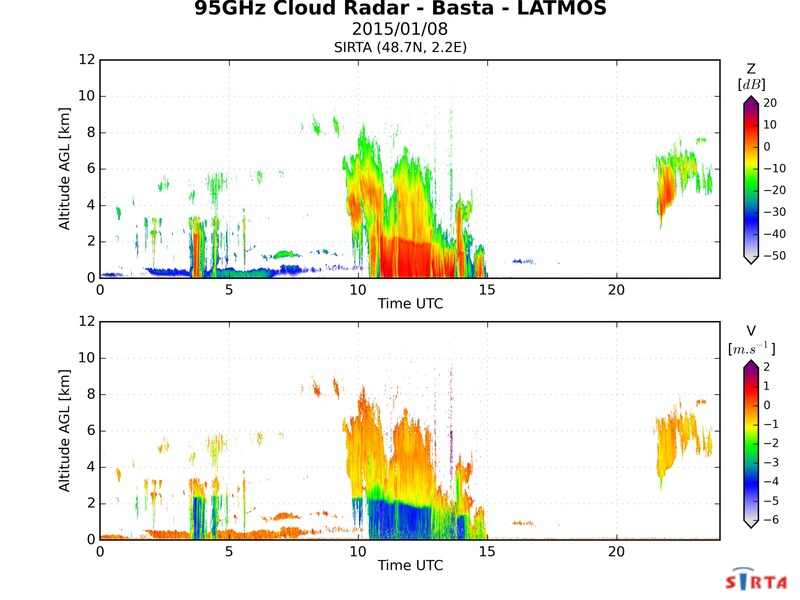 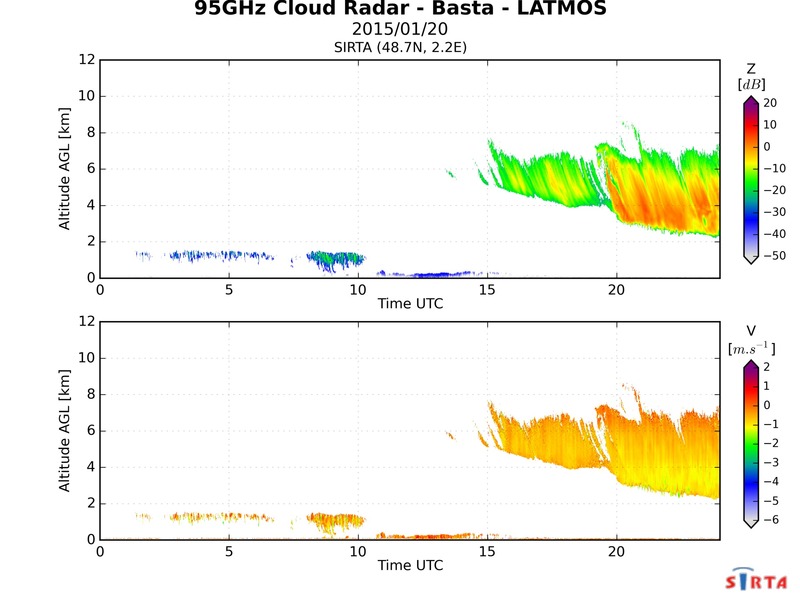 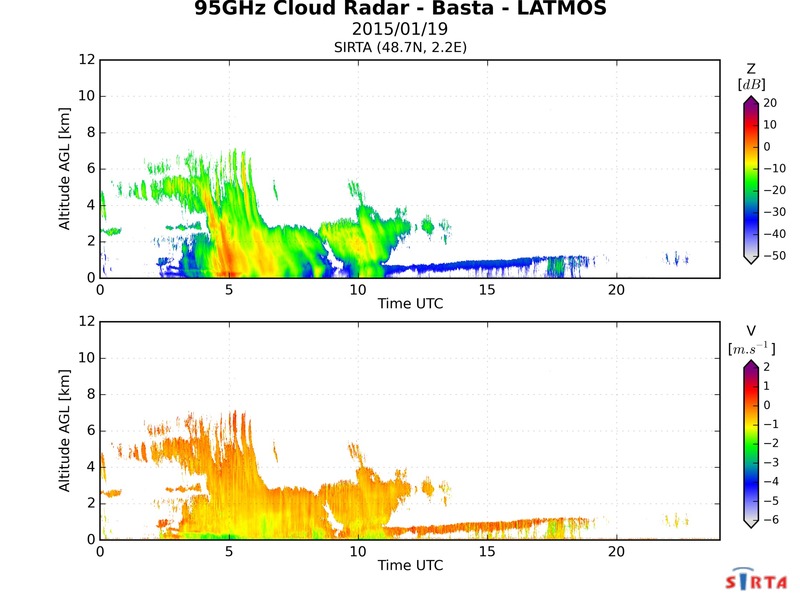 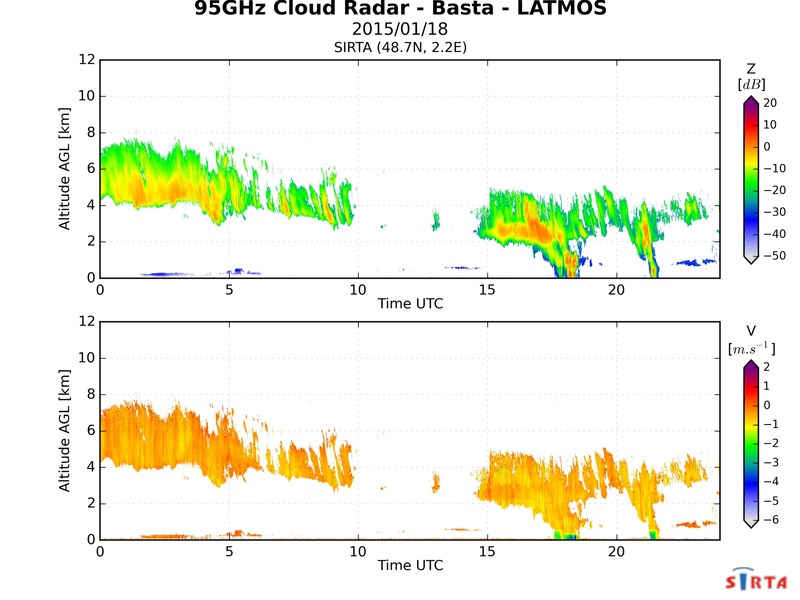 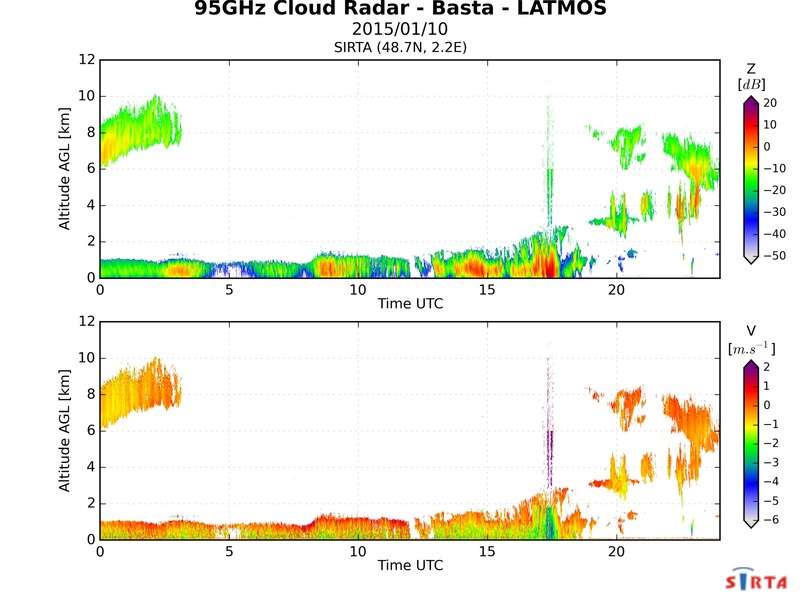 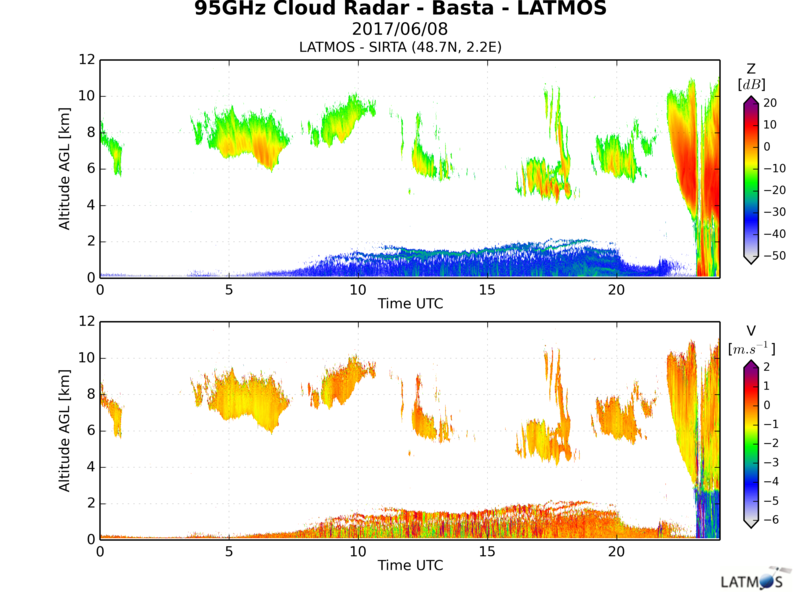 The latest version of the instrument has a sensitivity of about -50 dBZ at 1 km for 3s integration and a vertical resolution of 25 m. BASTA radar currently uses four successive modes for specific applications: the 12.5 m vertical resolution mode is dedicated to fog and low clouds, the 25 m mode is for liquid and ice mid-tropospheric clouds and the 100 m and 200 m are ideal for optically-thin high-level ice clouds. The radar comes with a set of products dedicated to cloud and fog studies. For instance, cloud mask, corrected Doppler velocity and multi mode products combining high sensitivity mode and high-resolution modes are provided.